Would you like a custom dial or bezel on your favorite watch? 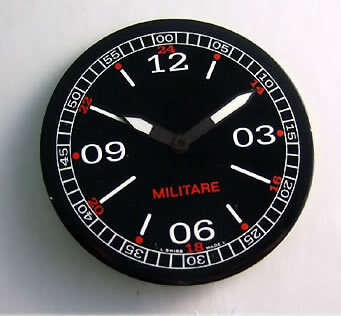 Or maybe you'd like the dial on a family heirloom professionally re-finished. Whatever your needs, we can help you create the watch of your dreams. When we determine the extent of custom work you require, we will call you with an estimate. If you want the repair done, we will ask you for a Mastercard or Visa credit card for payment when your watch is returned. If you do not want the repair done, there will be a $35 return fee. Everything is returned via FedEx, so please make sure with a valid street address at which you will be available to sign for your watch.